Based on the basic principle of "Quality First," we prioritize the stability of quality in order to continue to build a win-win relationship with our customers. All employees shall understand quality management, monitor effectiveness and make continuous improvement in order to promote quality stability. Each department shall set an assessable goal for achieving the quality target announced by the president and shall make an effort to reach the goal. Employees shall always "check, report, contact, consult and not forget" without fail in order to fulfill their own responsibilities in quality management. Under the philosophy of "For the Irreplaceable Earth," the company shall contribute to society by actively engaging in environmental activities, with a love for bountiful nature and a beautiful environment. Our basic principle is to consider the environmental impact. Based on the concept of environmental conservation, we strive to promote effective use of resources as well as the Waste 4R (refuse, reduce, reuse and recycle) throughout all processes, from receiving orders to delivering products. The entire organization shall take part in the continuous improvement of the environmental management system. The company shall comply with applicable laws and regulations as well as rules and agreements, etc. of affiliated organizations.
. The company shall set environmental objectives and goals, document them, review them in the internal audit, etc. in order to maintain and regularly improve every environmental aspect of the business and measures against pollution. The environmental policy shall be informed to all the people working in the organization and shall be disclosed as society requires. The Ina Factory is the future of factories, featuring a park in harmony with the natural environment of Ina Valley. 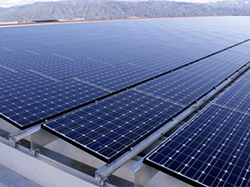 A solar power system is installed in the factory (Maximum power generation capacity is 151 kw/h). 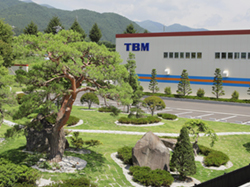 Copyright (C) TBM CORPORATION. All Rights Reserved.